With Unbeatable Features and Extensions! 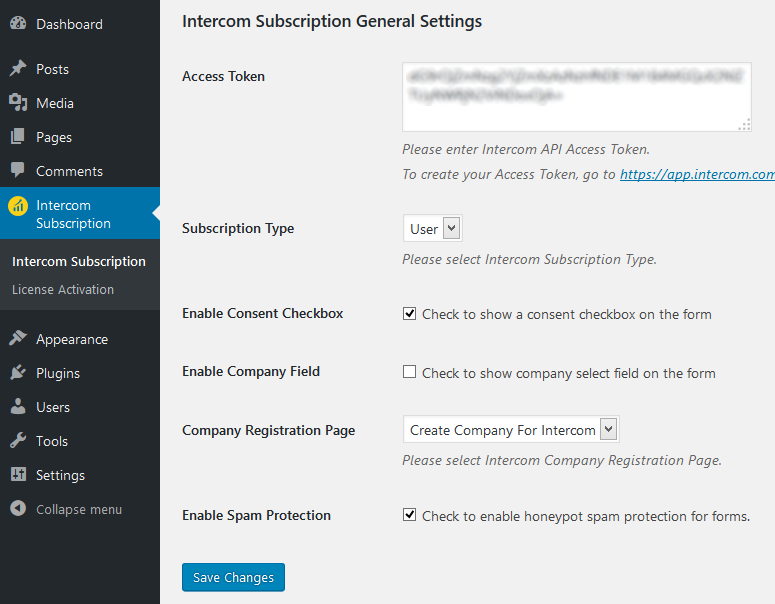 The plugin lets you offer a subscription form for Intercom and offers a wide range of extensions to grow your userbase across well-known plugins. Get the best of WordPress and Intercom with our plugin. It gives you features that no other plugin currently can. This plugin lets you grow your userbase and keep track of them. 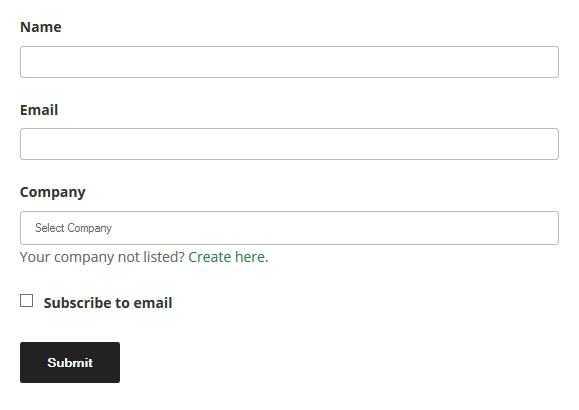 It lets you offer a subscription form to your users to subscribe to you. They can subscribe to you at their will. Plus, it gives you extensions to extend the functionality to other plugins, like WooCommerce, Contact Forms 7, Gravity Forms and many others. There are loads of options to customize how you want it to handle the fields and users. You can temporarily enable or disable addons if you wish. It is a wonderful plugin that will never let you down. Just install, configure and forget. Takes only 5-10 minutes to setup and the instructions are provided for everything. Takes care of field data mapping and API requests under the hood. You just set it up and it will do the rest. Extra Add on plugins are available so that you can extend the functionality with well-known plugins on the market. Extends the plugin to work with WooCommerce, so that your customers can be engaged with Intercom when they purchase your products. Extends the plugin to work any form made with Ninja Forms, so that you can grow userbase when they use the form. Extends the plugin to work with the forms offered with WPForms. Extends the plugin to work with Contact Form 7, so that you can use Intercom when an user interacts with your Contact Forms. Extends the plugin to work with the flexible and customizable forms made with Caldera Forms. Extends the plugin to work with the forms offered with Formidable Forms. Extends the plugin to work in a multi vendor environment. Extends the plugin to work with the highly customizable forms made with Gravity Forms. Extends the plugin so that Tags can be assigned to Intercom Contacts. Extends the plugin to work with forms made with WeForms, so that you can connect customers when they use the forms. Extends the plugin to work with the Downloads offered with Easy Digital Downloads. Extends the plugin to work with Intercom Events to notify you of various things. All purchase options are billed yearly. You may cancel your subscription at any time. Extensions subject to yearly license for support and updates. View terms and refund policy. A simple plugin that supercharges your WordPress with the power of Intercom!